If you know the facebook group “Baking 101”, you might also know Danny Klecko’s blog “Last American Baker“. Klecko’s posts are whimsical and often very funny, and he seems to snort them out joyfully and without any effort (unlike one envious baker whose name I will not disclose). Now and then he puts a recipe in one of them, as a “teaser”, to lure you into his world, even when you think you already overdosed on facebook. This happened to me when I followed the link with the intriguing headline: “The Recipe That Ended The Cold War“. Klecko describes how 20 years ago presidents Reagan and Gorbachev held a peace summit in St. Paul, his city. And the bakery, where Klecko worked at the time, was formally requested to supply a bread that the two heads of states could break, as a symbol of peace. The job went to Klecko, to create a loaf that would please a Russian while being quintessentially Minnesotan/American. Bake at 400-450º F for close to 30 minutes. Quite a temperature range! Klecko’s comment: he would like a crustier bread, baked at 450ºF, but many home bakers might prefer 400ºF. 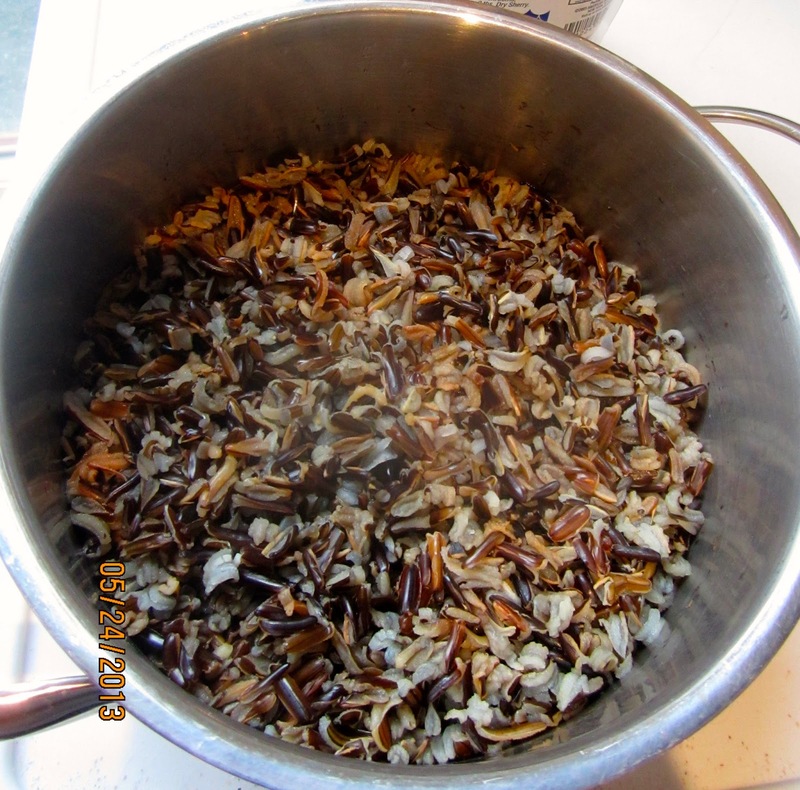 So I set out to metrically “remaster” the recipe, figuring out the starter, and calculating the amount of uncooked wild rice that would yield 1 cup of cooked rice with as little leftover as possible. Since the technique should include my preferred overnight fermentation, I found that I could safely reduce the amount of additional instant yeast. In the morning, mix all starter ingredients at low speed (or with wooden spoon), until all flour is hydrated (1-2 minutes). Knead 2 minutes at medium-low speed (or by hand), let rest for 5 minutes, then resume kneading for another minute. Cover, and leave at room temperature. 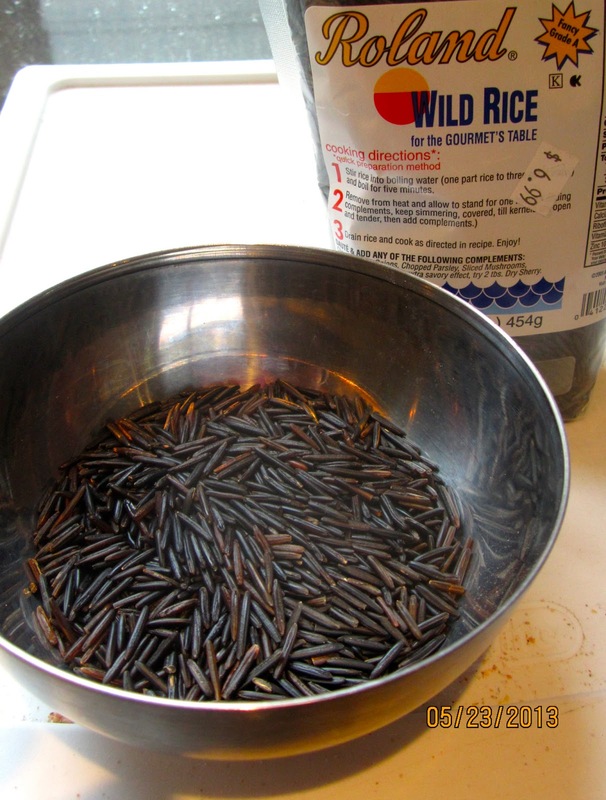 In a small pan, bring wild rice with water to a boil, reduce heat to low, and cook, covered, for 45 minutes. Leave at room temperature, the rice will absorb most of the water. In the evening, prepare final dough. Dissolve instant yeast in warm water. Add to all other ingredients in mixing bowl. Mix at low speed for 1 – 2 minutes (or with wooden spoon), until all flour is hydrated. Let rest for 5 minutes. Resume kneading at medium-low speed (or by hand) for 2 minutes, adjusting with more water, if really needed (dough should still be sticky). Knead for another 4 minutes. Dough should still be somewhat sticky. Transfer dough to lightly oiled work surface. With oiled hands, stretch and pat dough into a rough square and fold it like a business letter in thirds. Gather into a ball and place it, rough side down, into a lightly oiled bowl. Cover, and leave to 10 minutes. Repeat this stretching and folding 3 times, with 10 minute intervals. 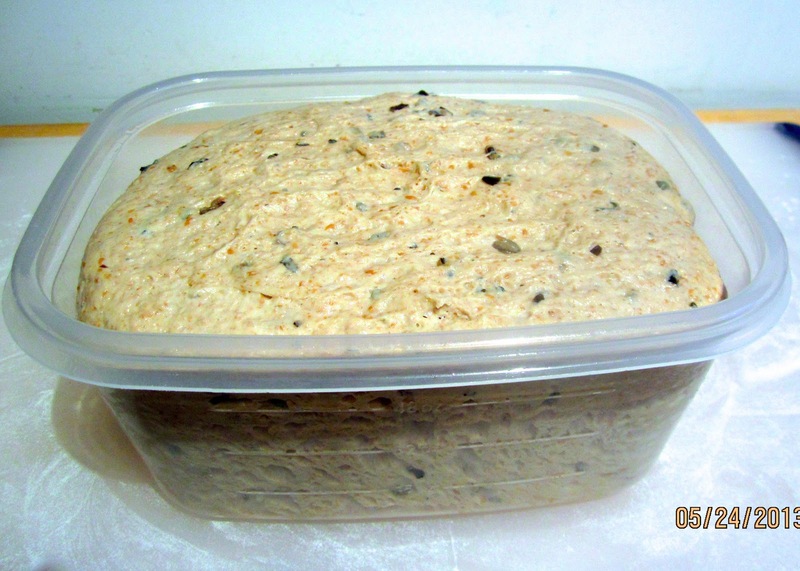 After the last fold, place dough in lightly oiled container (I divide it at this point in two equal portions,) cover, and refrigerate it overnight. Preheat oven to 450ºF/232ºC, including steam pan and baking stone. 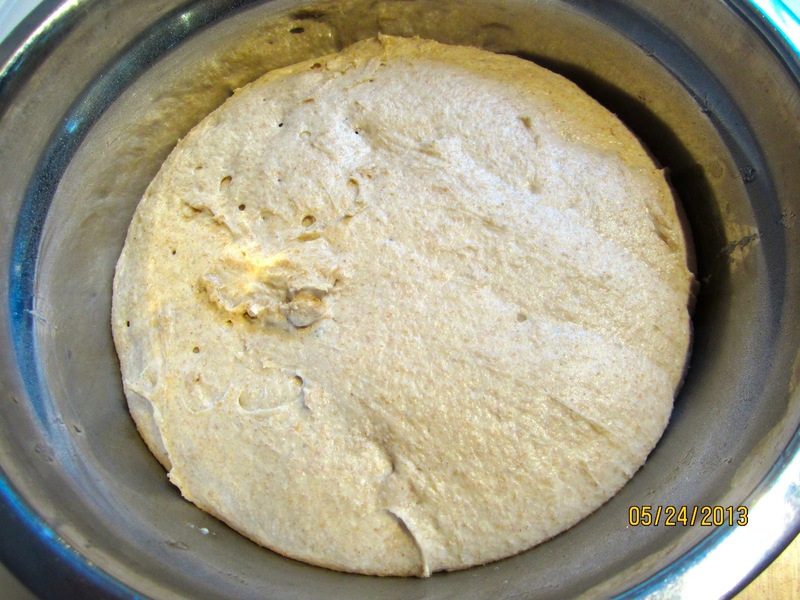 Transfer dough to a lightly floured work surface. 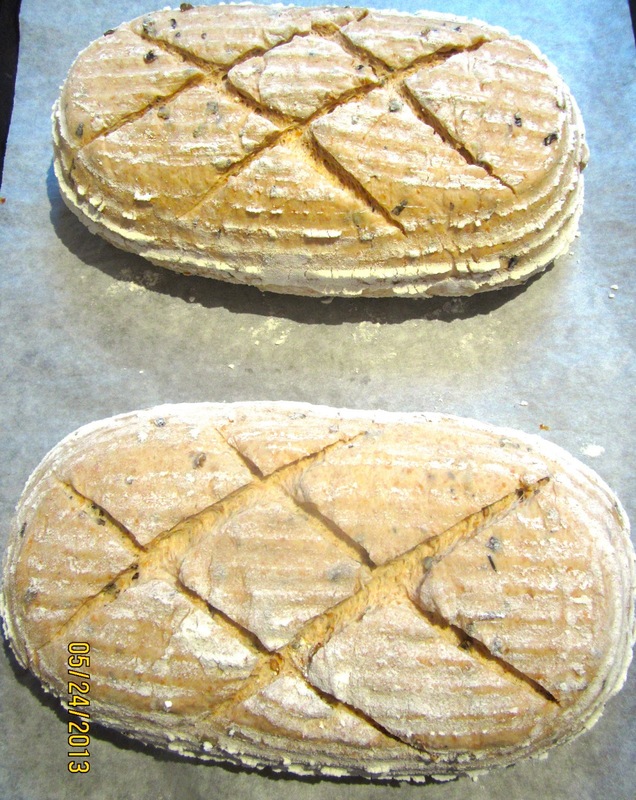 Shape dough into 2 boules or bâtards and place them, seam side up, in bannetons. Proof for 45 – 60 minutes, or until they have grown 1 1/2 times their original size (Finger poke test!). 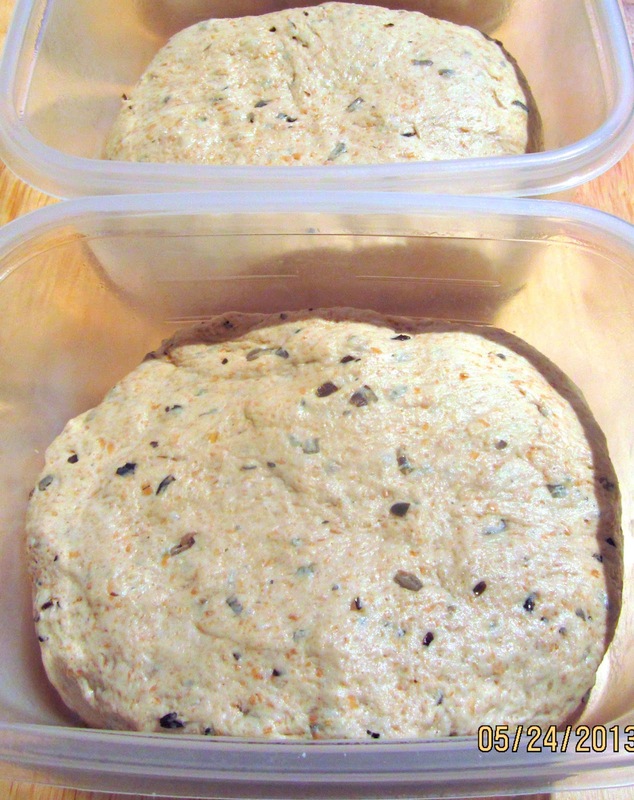 Transfer breads to parchment lined baking sheet (or bake directly on baking stone.) Score them crosswise. 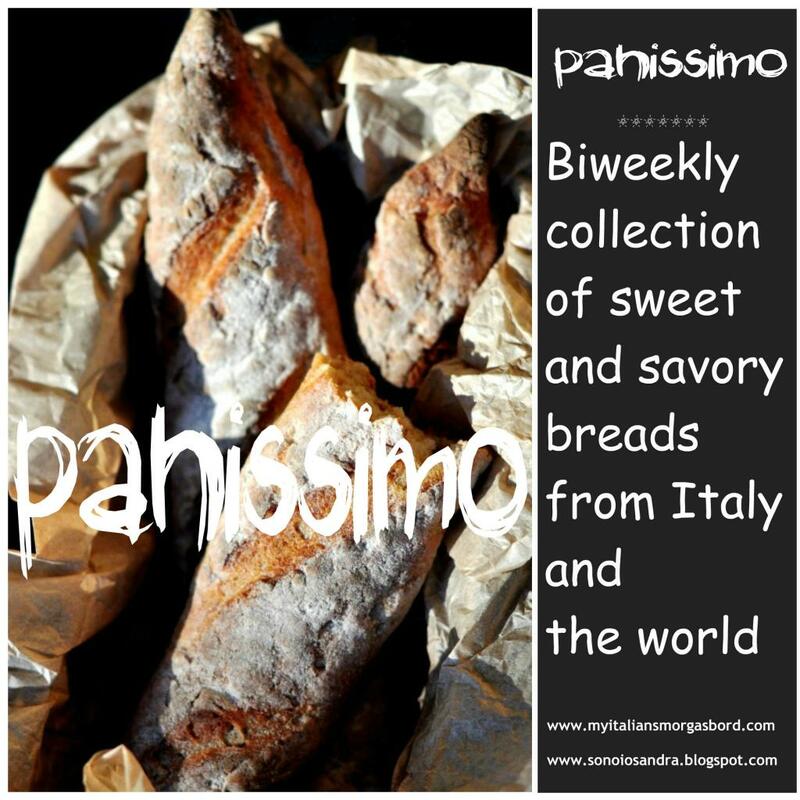 Bake breads for 20 minutes, steaming with 1 cup boiling water. Remove steam pan, rotate loaves 180 degrees, and continue baking for another 20 – 25 minutes. They should sound hollow when thumped on the bottom, and register at least 200º F/93ºC (instant thermometer.) Leave them in switched-off oven with door slightly ajar for 10 more minutes. 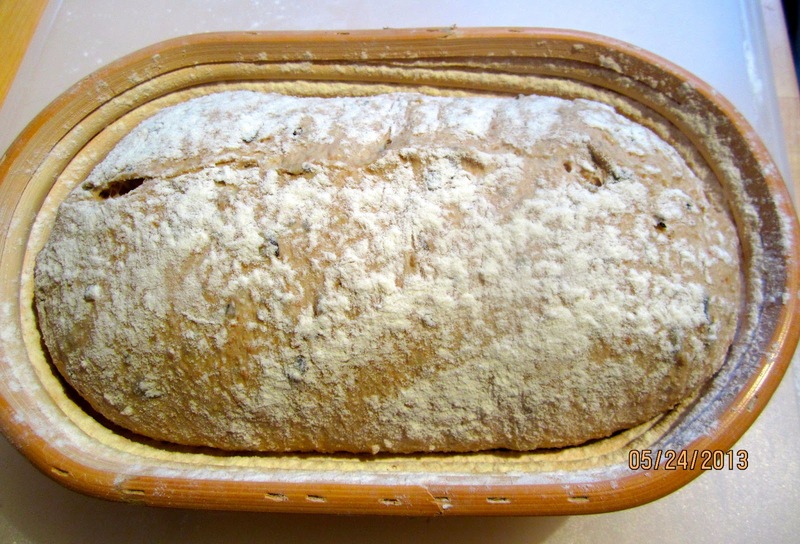 Remove breads from oven, and let them to cool on wire rack. Like Reagan and Gorbachev, we would have been willing to end the war, ANY war, hot or cold, after tasting this wonderful bread. 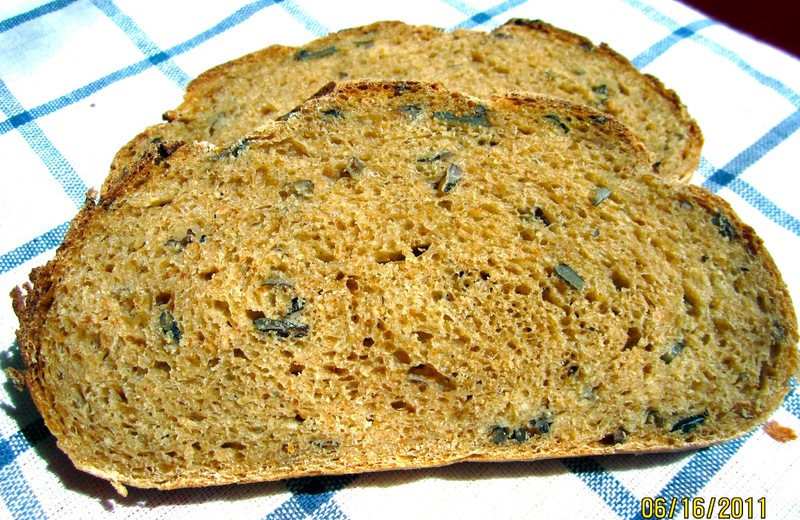 Slightly nutty and very moist, and, with the wild rice speckling the crumb, beautiful to behold. So we might all thank Danny Klecko for the recipe that brought the Berlin Wall tumbling down. 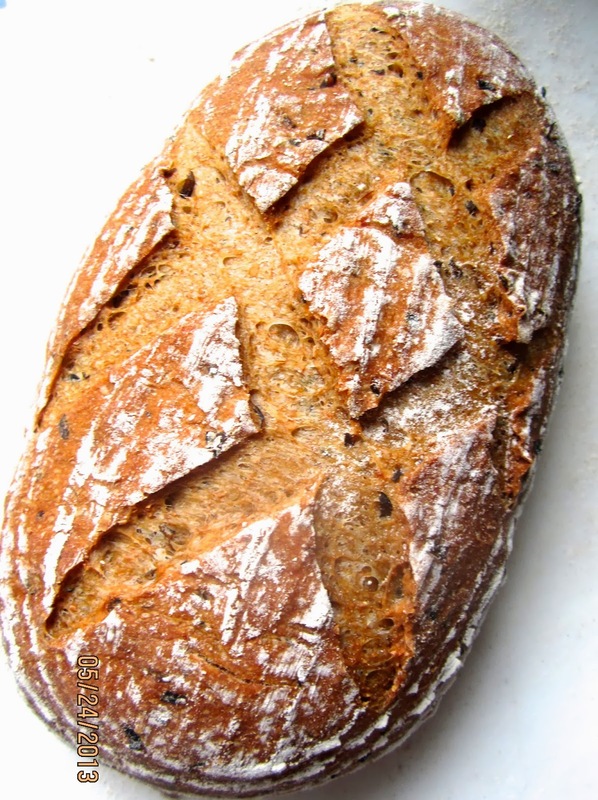 The Wild Rice Sourdough put Reagan and Gorbi in such a mellow mood that they couldn’t help but ending the Cold War! Next Post BACON-CHEDDAR-CHIVE SCONES – A WONDERFUL SURPRISE! I'm definitely going to have to try this Karin! G'day! Your recipe and photo looks wonderful too! As a non baker would your brick starter be like a sourdough starter?? Thank you! You want regret it, Karen. Everytime I bake this for sale, I make an extra loaf for us. Joanne, I put my “remastered” formula below the original recipe, you will see it when you scroll down. I don't have Danny Klecko's brick starter, but use my regular 100% rye starter. Karin, what a beautiful loaf! I got a wonderfully developed dough with a very uniform structure of small alveoli. I was in danger when I realized that I could only bake separately; the second loaf went in too late for my taste, but despite a lesser oven spring it didn't really suffer! I really need one of those rofco ovens soon! have a good weekend! Thank you, Freerk, please, post a photo. This is one of my most favorite loaves. I bake almost everything with convection mode, on two tiers, to be able to bake 4 regular loaves at a time. But American ranges are usually wider than European ones. what an original loaf and wow what a beautiful crumb! Thanks, Barbara, who would have thought that wild rice and sourdough would work so well together. Thank you, Karen, you should try it. Yes, wild rice is not really from the rice family, but the seeds of a grass that was already harvested by American Indians. The yield is not very high, therefore wild rice is more expensive than other rice. When I walked in the garden today, I checked on the columbines, thinking of your lovely post.